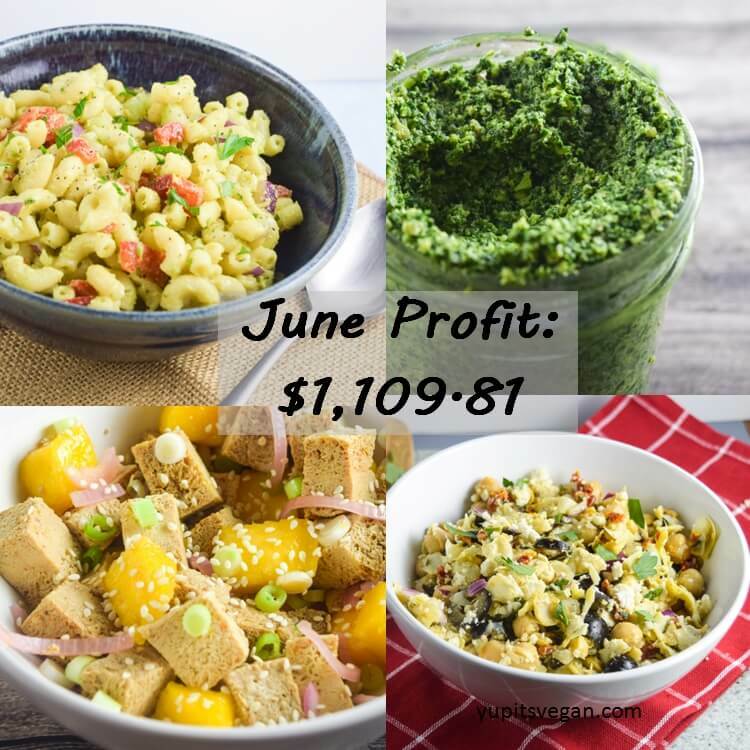 Blog Income: June 2016 Summary | Yup, It's Vegan! It’s me, Shannon, checking in, from a surreal alternate universe where I just met my goal of making $1,000 from my website in one month, only a couple of months after setting it. So like, holy sh$@! I’m just so thrilled to be setting and reaching goals; and to be making a nontrivial amount of side income doing something that I truly love – spreading the word about approachable, delicious vegan recipes. This in turn will be helping me to reach some financial goals of my own that might make it possible to pursue vegan cooking and recipe development in a more focused capacity someday in the future. So tl;dr I’m hugely excited about making over $1,000 last month, and I’m officially setting my next milestone goal at $1,500! Keep on reading to find out how I’m hoping to get there. I want to give myself some time to experiment (and at the time of writing this, I already know July is going to be a retrogression), so I’m tentatively giving myself the goal of meeting that milestone by the end of this calendar year. In June I published four new recipes, and I’m more than happy with my performance. I closed on my new home purchase on June 22nd and the days leading up to that, as well as all of the subsequent days since then, have been too busy to do much of anything for the blog. I had some recipes ready to go and maintained a semblance of a normal posting schedule, and that’s about all I could have hoped for while balancing a major financial purchase/move with my full-time job as well. None of my new recipes this month showed signs of being the next recipe to go quasi-viral for me… and that’s perfectly fine. They were authentic recipes that I ate and enjoyed in my own home, using seasonal produce. Also, I’ve been regularly feeding an omnivore again recently (more on that when the time is right :)) and everything shared here was well-received. It’s great to have that kind of feedback again. But it’s also more difficult to develop and photograph recipes when people are waiting to eat! This recipe has been doing well, with lots of people already making it, at least according to Instagram! 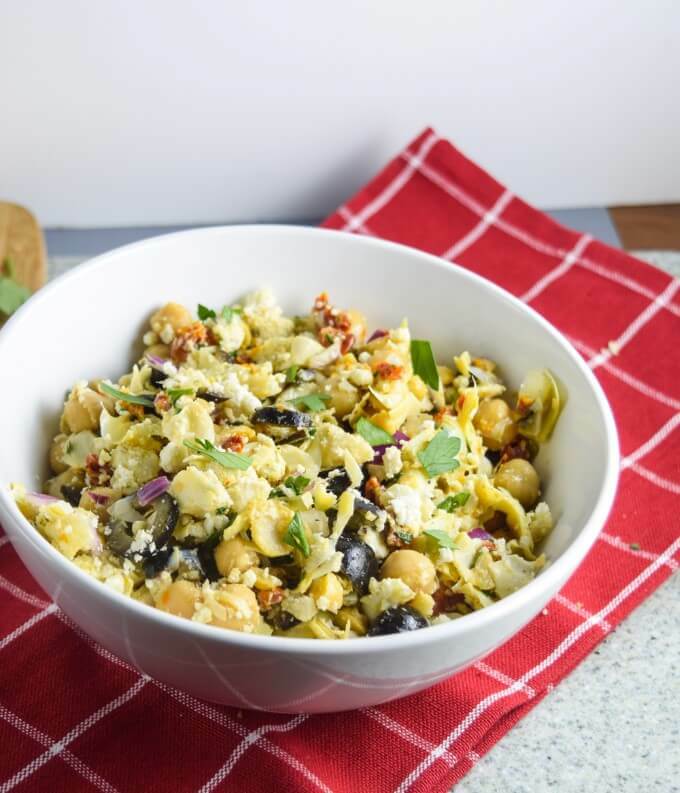 I was right in the prediction I made last month – that people would be more interested in my almond feta recipe once they saw it used in this salad. It may not be blowing up on Pinterest, but I’d much rather have a medium-popular recipe that people are actually making, than a popular recipe nobody is making. 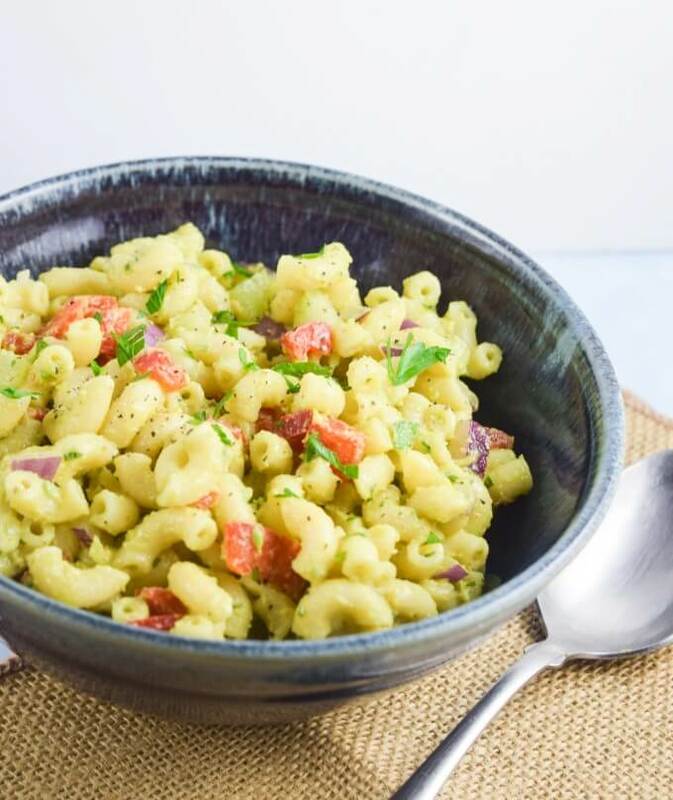 A super easy, delicious pasta salad recipe that is rightfully gaining popularity. I don’t have much more to say, except that I wish I hadn’t been so busy in the week or two leading up to Independence Day weekend – I would have been promoting it for that holiday if I was around more. This pesto recipe was super CSA-oriented and basic at the same time. Because of that, I’m not at all surprised that it is relatively unpopular. The nice thing is, that doesn’t really matter – it was so easy to prepare and photograph, and to blog about, that I spent half the time (or less) in terms of hours on publishing this recipe that I normally do on a blog post. So any traffic I get from it basically feels like a free bonus. 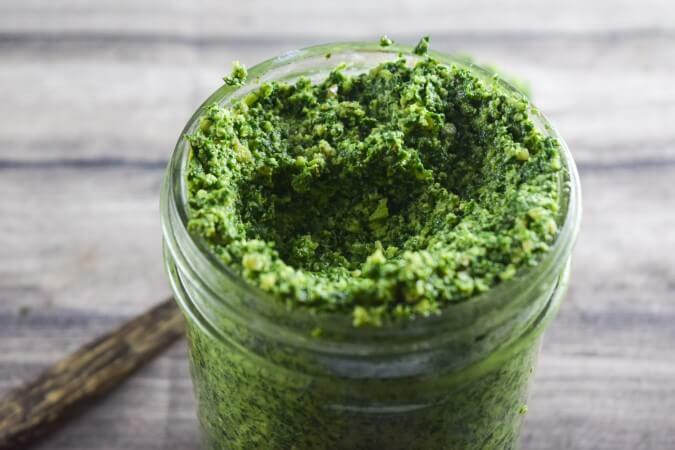 Also, now that I have a great pesto recipe on my website, anytime my future recipes use pesto I can give a shoutout to this one, and create quality backlinks throughout my site. So no complaints from me! Also, I was really really happy with the photography. I’ve been experimenting with some new angles for my tabletop photography light, and adoring the dramatic shadows that have resulted. It makes it so much easier to photography a relatively unexciting dish like pesto or guacamole. 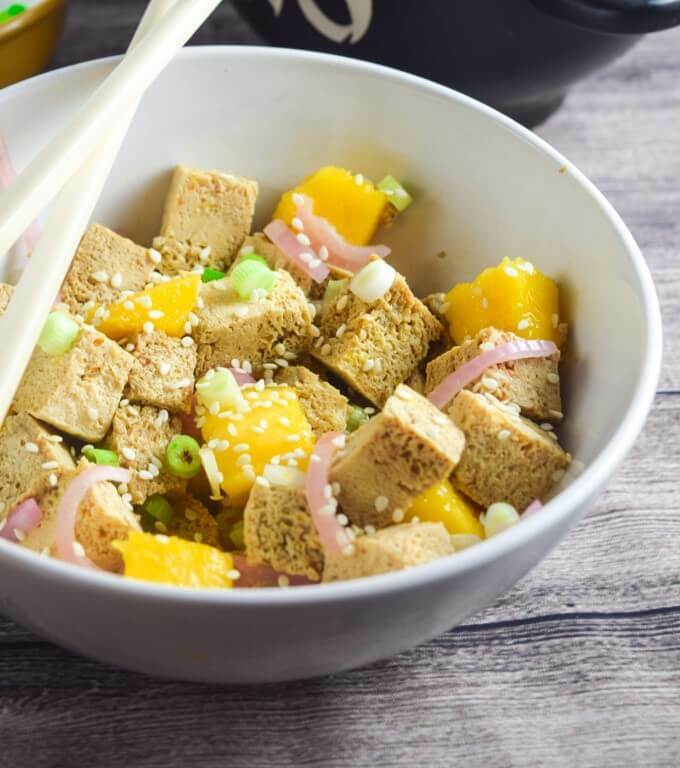 Publishing the tofu poke felt like a bit of a wildcard. I had no idea what level of familiarity my readers have with Hawaiian cuisine, and thus, whether the name of the dish would be enough to draw people in. I will continue to experiment with the best way to promote this post, because the recipe is honestly fantastic, probably my favorite of the month. It’s doing fairly well, but not as well as I want it to! A guide to how I reduce the file size of my images so that my website loads faster. A ton of work went into this and not many people have viewed it yet, but that’s okay, because it will remain relevant for a long time! I’ll be working to further develop and promote this resource as time goes on. But for now, it’s live! And I already have some new restaurants to add to it. Taking any suggestions from other Baltimoreans, as well! Blogging (especially if you’re trying to grow your site and earn an income) requires juggling dozens of moving parts, and I developed a suite of spreadsheets for tracking all of the things I need to track. This resource goes over all of them in detail, and similarly to the image loading guide, it should have plenty of longevity. None! I’ve been great about keeping expenses low (…er, nonexistent). Consequently, I’m planning a couple of strategic purchases soon, to help me grow the website. More on those next month! During June, as I mentioned in my May income report that I was hoping to do, I finished several to-do items. I’ve now converted every recipe on this website to the EasyRecipe format from the ZipList format, excepting some super old recipes that weren’t even in ZipList – cutting my losses on those. I also completely finished tagging and categorizing old posts correctly. All of that was quite a bit of work but I’m so happy it’s done. I also published several resource pages, which I discussed above. I haven’t made any progress on that eBook I talked about. The reason for that being that I had another idea for an eBook to actually sell (rather than give away for free to email subscribers). I’m going to wrap up some favorite recipes from the blog (plus at least one exclusive recipe) in a convenient eBook format with brand new nutrition information added, and sell it for a (very low!) price. This should be a good barometer for me on whether eBooks are a direction I should continue in in the future. I’d really like to complete some new resource articles so that my resource pages start to look a little bit less spare, but well, I’ve been busy! So we’ll just see how that goes. My main goal for the month of July (which is already nearly halfway over) is just to survive it, given all of the other things going on in my life right now. I’ll be back in early August with a July report!